NumPy v1.9.1 is a Python module for numerical calculations, using C/C++, Fortran, BLAS and LAPACK. Numpy contains a powerful N-dimensional array object, sophisticated (broadcasting) functions, tools for integrating C/C++ and Fortran code, and useful linear algebra, Fourier transform, and random number capabilities. 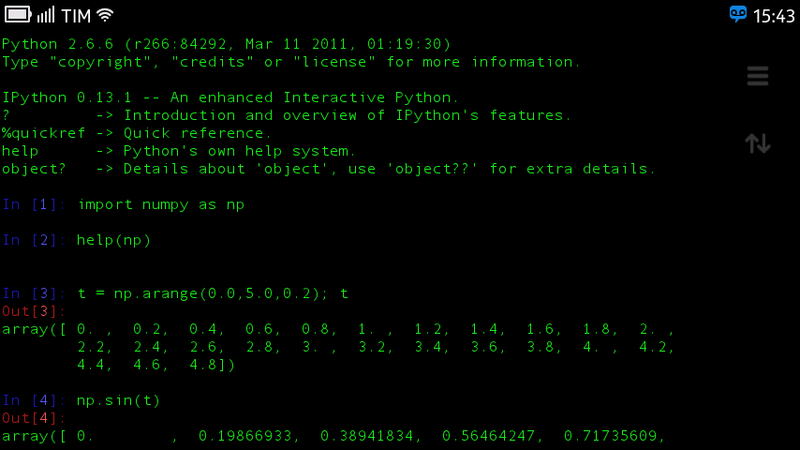 For interactive use of NumPy, it is recommended to install IPython. See the Talk Maemo.org topic about "NumPy for MeeGo Harmattan". This is the MeeGo Harmattan version, for Sailfish version of NumPy, look at here.